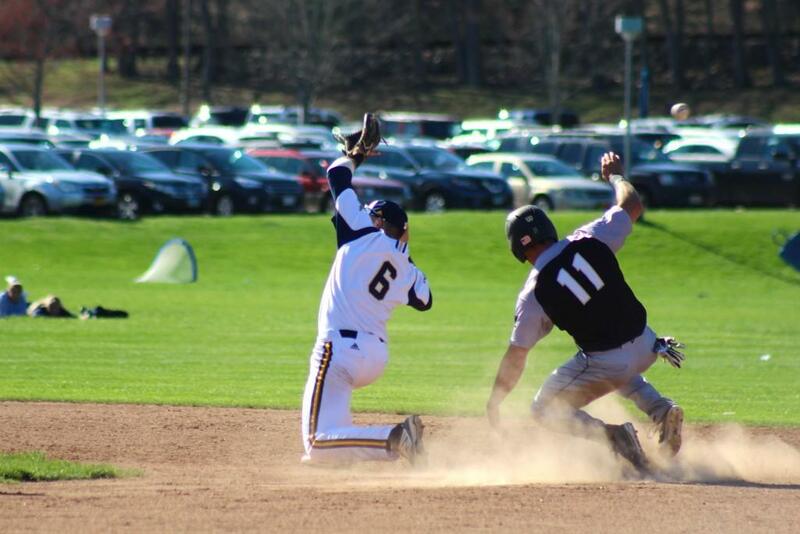 Tuesday’s matinee baseball game between Bryant Bulldogs and the Quinnipiac Bobcats featured a lot of action, as Bryant took the win 7-6 in a late 7-6 tally. Mickey Gasper hit a three-run home run in the top of the eighth inning that propelled the Bulldogs in a three-and-a-half-hour contest. “His command wasn’t very good today and what makes him work is his command in and out of the zone,” Delaney said. Quinnipiac added a run off Liam Scafariello’s single to left to tie the game. The second inning for Bryant was big after two bunts for singles and another passed ball allowed one more run to come across the plate for the Bulldogs to make the score 2-1. Chris Wright for Bryant pitched well and was also yanked from the game early as Quinnipiac started to get to him by the top of the sixth when Oestreicher scored off a Gibson sacrifice bunt. Two more walks in the inning kept the bases loaded for some time and allowed the Bobcats to tie and eventually take the lead 4-3. Quinnipiac was unable to get a lot of production out of the top of their lineup today but that didn’t slow them down. They matched Bryant’s game with small ball and their pitching improved as the game went on. Bryant stormed back in the top of the eighth for their biggest inning of the game. Bryan Hart started things off with a single to left followed by a sacrifice bunt from James Ciliento. Cole Fabio singled and the runner from second scored to tie the game at 4-4. From this point on it seemed like Bryant regained all the momentum. Another walk for the Bobcats left two runners on for Mickey Gasper and he took advantage of a fastball inside, sending it over the scoreboard in right center. A questionable call by Coach Delaney to not remove Mike DellaMadaglia from the mound after two pitchers were warming in the pen came back to bite the Bobcats. After Ryan Nelson started the inning off with a deep line drive double to left, the Bobcats looked to be headed in the right direction down 7-4. They surrendered three runs but had three strikeouts to end the contest and ultimately falling to Bryant by one run. Quinnipiac is 11-23 overall and 4-8 in conference and return to the diamond for a MAAC matchup this Saturday at home versus St. Peters.